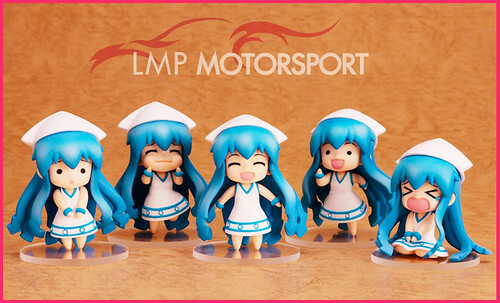 There will be five Ika Musume Petit included in the package, each with different expression. Unfortunately, not much further is known about this Petit set, other than the fact that it will be sold in a sponsorship basis, similar to the earlier Nendoroid Racing Miku 2011 version. Damn, tot it will be a normal size nendo. Also, chances of getting this set may be hard T_T. now to wait for the regular sized one! OH MY GOD! my life long dream has come true! now i just need to get my hands on it!